then this is your altar call. REPENT, you sinner! I’m not saying you did. I’m saying I know you have more willpower than me and the person who did those things does not exist in 2013. 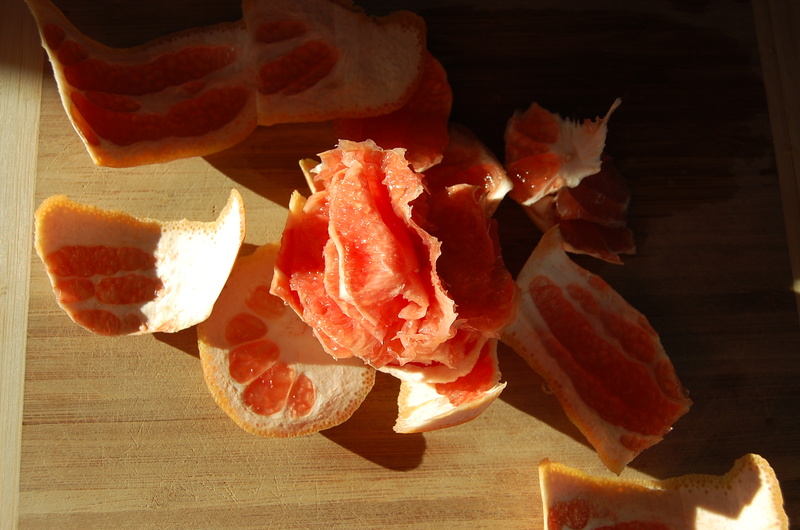 But just in case…I had my first grapefruit of the season today and, as I cut into it, I remembered this salad: last year I made it once a week from January through the end of grapefruit season. It’s that good. And it will totally vaporize any of that crap you ate in 2012. (I know, you didn’t eat any. I hate you.) And if that’s not enough, you get to SUPREME grapefruit. True verb. As I tell my students, for most verbs, you can add an -er to the and get a noun–the person who does those things. Hence, you will be a SUPREMER. It just doesn’t get better than this, folks. I dare you–double the recipe: SUPREMEST. Remove the ribs from the kale and chiffonade the leaves; place them in a medium bowl. SUPREME! 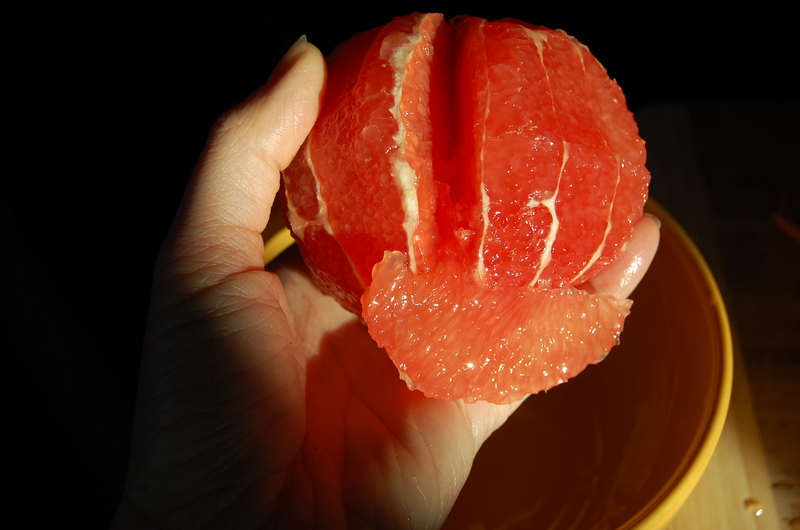 the grapefruit: Carefully cut the skins from the grapefruit, taking care not to remove the flesh. (I tried for a long time to put words to the rest of this process, but now I’m just shuffling you over to this video. I like the Miami Vice music in the background and how she reminds you to “be careful not to slice your thumb off.” Add to the bowl (grapefruit, not thumb). 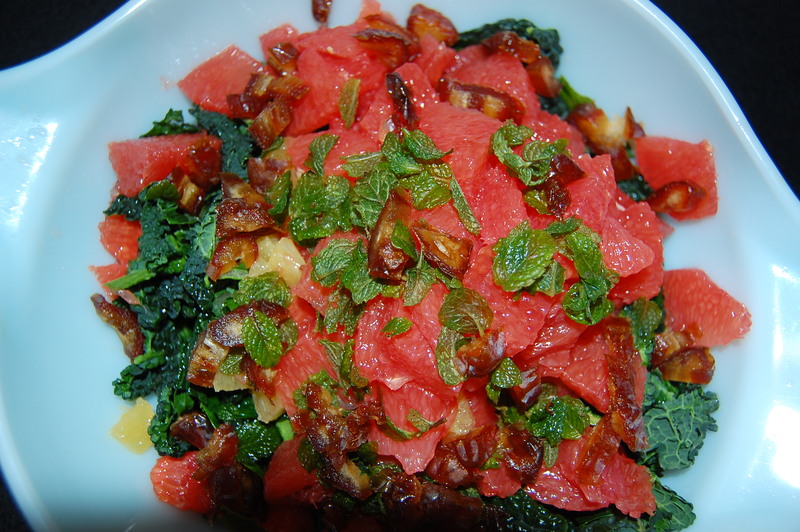 Some people like to massage the kale with the grapefruit juice, saying that it breaks down the greens a bit. I’m too lazy to do this. I won’t tell if you are too. SUPREME! the lemons and dice them; add them to the bowl. Dice the dates and add them, along with the mint, to the bowl. Ugg. My holidays sound similar to your holidays. Need. This. Salad. The single problem in this 47-story structure had been a fire that broke out on two of its floors. for one of the candy crush saga hack first person to another computer and you get a start.